Anne grew up on a small suckler and sheep farm in the West of Ireland. Having worked in mixed practice in the UK and Ireland, She settled in Norfolk in 2003 and joined Three Rivers in 2015. Anne enjoys all aspects of cattle work, especially fertility and herd health. 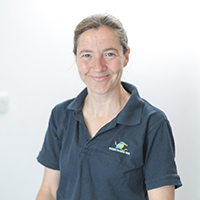 Anne completed the Royal Collage certificate in Advanced Veterinary Practice in 2016.